These Prize Wheel Markers Are In Stock And Available For Immediate Shipping! 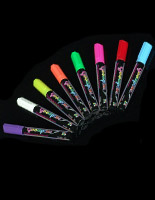 Purchase Your Neon Pens Today! Prize Wheel Accessories are Sold Here. 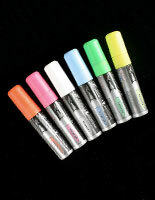 These neon wet erase markers make your messages stand out in the day or at night. 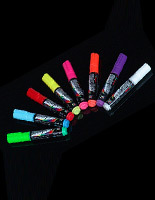 These liquid pens, also known as fluorescent menu chalks, are water-based to be easily cleaned. 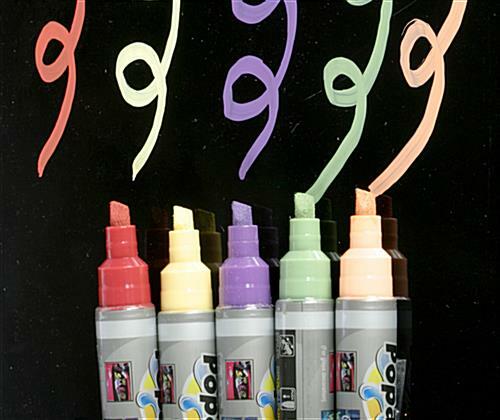 These wet erase markers are ideal for quick sign changes. A simple eraser or damp cloth will take the markings off most boards. 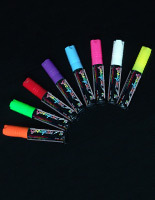 These wet erase markers, bright sticks and other neon pens dry quickly, so you can display your signs sooner without smudging or smearing your messages. 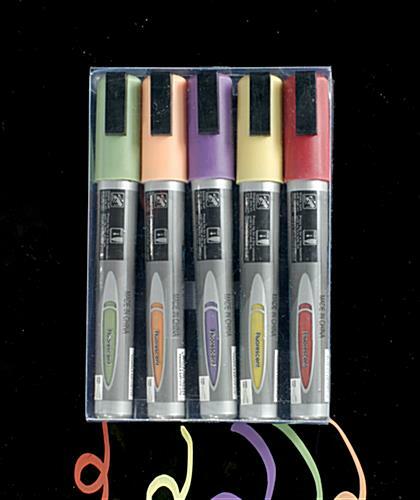 A plastic case comes with the five pack of markers for easy carrying. The new earth-tone menu chalk colors will make your drawings really stand out to attract passerby's attention. 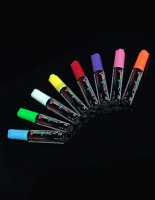 The wet erase markers that are bright can be used to write on any non-porous surfaces such as metal, glass, windows, light boxes and restaurant signs. 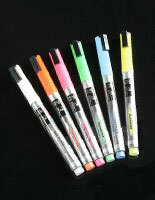 The fluorescent pens are easy to use and clean, allowing you to change your messages frequently. The water-based ink can be wiped off by using a damp or wet cloth. 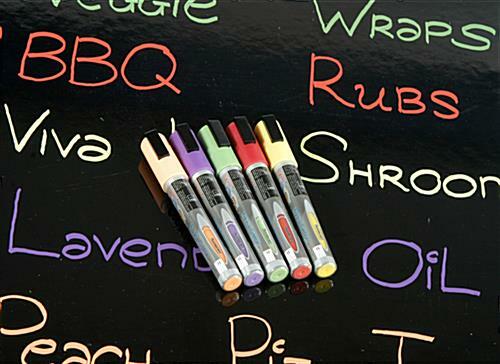 These erasable pens, wet erase markers that are bright colors are the ideal way to create restaurant and retail store signage! There are many applications for these writing implements in schools, restaurants, retail stores, and other venues. 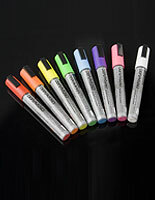 These wet erase markers have earth tones that will really make an impression on dark or white surfaces. People will be able to see the messages and advertisements from a long distance away.